I will be the first to tell you, that networking in general, is not my strong suit. Don't get me wrong, I love making new friends online, but the idea of actually ''networking'' to grow my blog and so forth, is a bit daunting. Last year I joined Twitter and noticed how easy it was to find certain groups of bloggers. For example, your beauty bloggers. It seemed like (at least to me) you could easily find hashtags that relate to them and through that find a wide variety of beauty bloggers to follow. However, when it came to the DIY bloggers, I found it hard to find people to follow or to find new content. It could be me, but using certain DIY/Crafting hashtags only got me so far. So I started looking into the idea of creating ''my own'' hashtag. Part of the reason why I wanted to create my own hashtag was to build a ''tribe'' so to speak, of DIY bloggers. The whole goal would be to use the hashtag to share your own content, to find new content, retweet those projects/posts that your loving and (most importantly) to meet new DIY bloggers. Now I know I'm not reinventing the wheel here, but hopefully, this will be another way for you to ''network'' and to promote your own awesome DIY content! Now I came up with the name GlueGunScout for two reasons. One so it could be connected to my blog for easy ''monitoring'' and two every other combination of DIY/Handmade/Maker seemed already taken (lol). Also, I thought that no matter what you're crafty niche is, that every crafter has a glue gun (or a few)! So hopefully you like the hashtag! I'm in the process of creating a page that explains everything about the hashtag, encase you want to share this idea with your DIY blogger friends. It's sort-of going to be an FAQ page, so if you have any questions about the hashtag leave a comment and I'll include it in the page. I already have posted some stuff on Twitter using the hashtag, so by all means start using it! Also, I'm not on Instagram, so I would like this hashtag to ''stay'' on Twitter. Hopefully, you guys find some awesome projects to make and find some new crafty friends! I will be retweeting any project/blog post on my Twitter page that you guys ''send'' using the hashtag! You can see the feed for the hashtag by clicking here and follow me on Twitter by clicking here! p.s Share, Share, Share This Post! 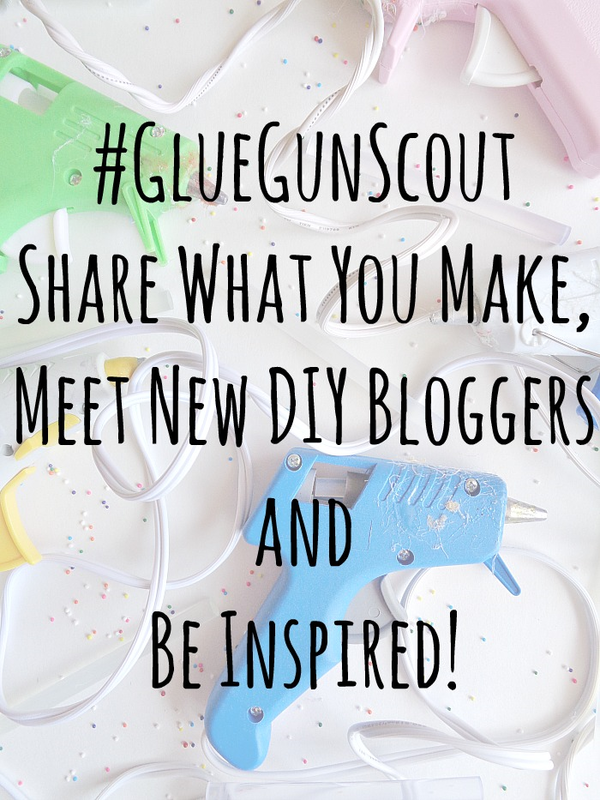 The whole point is to meet other DIY bloggers, so share this hashtag to your little hearts content.